Disclaimer - Please read this important information before gambling at any online poker room as it is your responsibility to ensure online gambling is legal in your country of residence. Gambling - This site disclaimer is for online poker rooms and general gambling information purposes only and is intended to assist you in choosing an online poker room. You can not gamble on this site. Information - We will attempt to keep all our information up to date. The online poker rooms do, however make changes to their bonus offers and terms and conditions. No online poker room will be bound by the terms of an outdated advertisement or promotion, we cannot be held liable for having any outdated information on this site. We strongly advise that you check through the poker site before playing to ascertain the poker rooms current terms and conditions. Legality - Gambling may be illegal in certain jurisdictions or countries. We cannot determine the legal status of online gambling for each site visitor. We would suggest that you check with your local authorities before gambling online. South African Online Gambling ( Interactive Gambling ) - Please take note that although interactive gambling in South Africa is currently in the process of being legalized - the current status is that interactive gambling from within the Republic of South Africa is illegal. Whilst we promote the Rand currency - this is for players outside of South African borders wishing to gamble in Rands - It is not for South African Residents. Furthermore - In terms of the Exchange Control Rules, it is illegal for South African residents to participate in foreign lotteries, sweepstakes and betting organizations. South African Rand Currency - Our advertising of the South African Rand (ZAR) currency is intended for those countries trading/utilising the South African Rand (ZAR) currency and for use by person/s outside of South African Borders. The Rand (ZAR) currency is not for use by person/s residing in South Africa to partake in online/interactive gambling. Reliable sources have also informed us that the new proposed bill to regulate online gambling in South Africa will be submitted to the State President for signing before the end of 2010. Should the President sign, online gambling will then be legal in South Africa! Age - It is illegal for persons under 18 years of age to gamble. 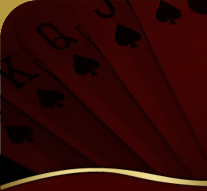 Player Identification - This site www.pokermillions.co.za does not obtain or have any access to any player/s identification or poker account details. This is private information kept by the poker room only. National Council on Problem Gambling. Liability - We have used whatever means we have at our disposal to try and list only those poker rooms who have the ability to honor their commitments. We don't have insight into their financial status and thus will not be held liable for their actions. Arbitration - We are totally independent to any of the online poker rooms, nor do we have any ownership or share holding/s with any online poker room. Should you experience difficulty in your dealings with any of the poker sites listed, we will happily provide whatever support at our disposal in an effort to resolve your dispute. Poker Room Rules - We remind you that online poker rooms have terms and conditions/rules and that it is your responsibility to familiarize yourself with the sites rules before playing there. Welcome Bonus - Most online poker rooms offer new players a welcome bonus. There is a play through requirement that the player must play before the player may cash in. The play through requirement will vary from poker room to poker room, we therefore advise you to read all terms and conditions including any terms and conditions relating to play through requirements.